How Will Artificial Intelligence Impact Digital Marketing in 2018? From sarcastic and brilliant Siri to Tesla’s self-driving cars to Google AI that can learn video games in mere hours, Artificial Intelligence is revolutionizing industries one by one. The next target of AI in 2018 would be the digital marketing field which is already in a dynamically evolving phase. 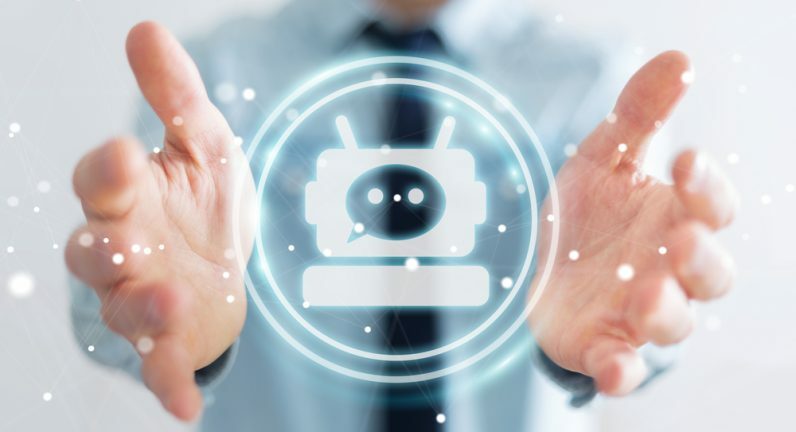 Thanks to social media outreach and tons of data left behind knowingly and unknowingly during internet surfing, AI holds a huge potential in the field of digital marketing. Using AI in providing better customer experience, predictive analytics and targeted marketing will surely provide a great ROI to businesses. Let’s see in what ways artificial intelligence will possibly impact digital marketing in 2018. Below are some of the potential areas where AI can tremendously boost digital marketing. These possibilities are only in the fetus stage now but 2018 could prove to be path-breaking for AI-powered digital marketing. This further reduces the sales-cycle as the relevant information is handed over to customers on a silver plate. This “predictive” campaigns can significantly reduce customer research on the product and makes decision making easier. As for marketers, they can continue to analyze the buyer through data and even make the customer return! This type of AI-enabled algorithms will challenge the current ‘hotshots’ like SEO in a huge way. With AI powering the digital marketing initiatives from ground level, chances of trends such as SEO, banner ads becoming obsolete are high. After all, who needs SEO and website traffic when you have a detailed report of your prospect? Previously, image recognition was confined to identifying isolated objects in an image. But with AI – enabled software, it is now possible to get a detailed description of an image. Amazon’s latest brainchild Amazon Rekognition can actually recognize human faces, emotions involved and identify objects. Thanks to social media outreach and big data, we now know customers better than we ever did. Artificial intelligence and its associated technologies should bring marketers and customers closer in the coming years. Customers have a better understanding of a product and marketers have a better understanding of consumers. With artificial intelligence as the connecting link between them, it would be interesting to see how digital marketing turns out in 2018. Optimized decision making, better sales-cycle and ‘predictive’ buying and selling processes are sure-shot outcomes of this robotic war. But this time both customers and brands would be on the winning side. So let’s wait and see how marketers are maneuvering this highly lethal weapon to multiply sales, strengthening the pipeline and to get real close to the customers.